This 1 Bed + Flex suite at the MADDOX features a well-designed layout with floor-to-ceiling windows & a generous balcony. This luxurious air-conditioned suite offers hardwood flooring throughout, beautiful marble countertops and a gourmet kitchen with integrated S/S appliances including 5-burner gas cooktop. Heated floors in the bathroom are a welcome bonus. Amenities: fitness centre, steam room, meeting room & rooftop lounge. Great restaurants, shopping, parks, beaches - all at your doorstep! 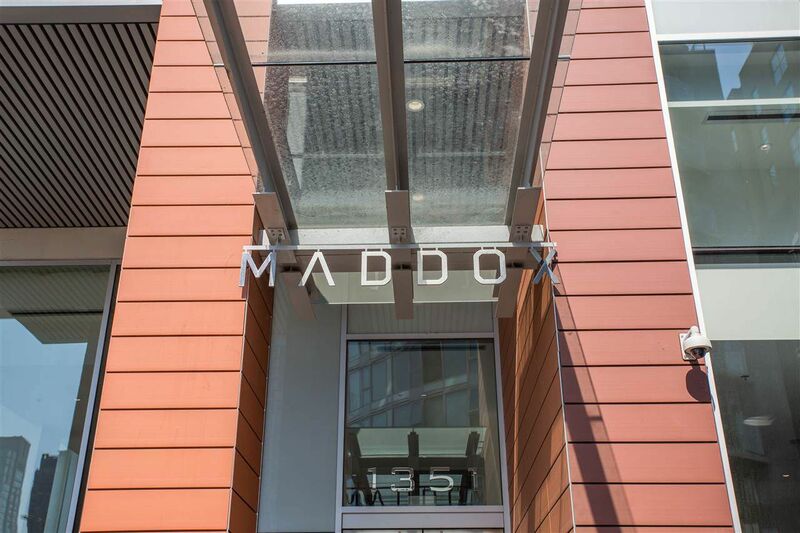 The Maddox offers 24-hour concierge, bike storage & allows pets/rentals. Strata fee includes HW & gas. This suite includes 1 parking/locker. OPEN HOUSE: Sept 1, 2-4pm.